About the plant: Pine is a cone-producing evergreen tree that reaches heights of up to 130 feet. It has blue-green needle-like leaves. Spiritual uses: Pine has a protective energy that benefits highly intuitive people. 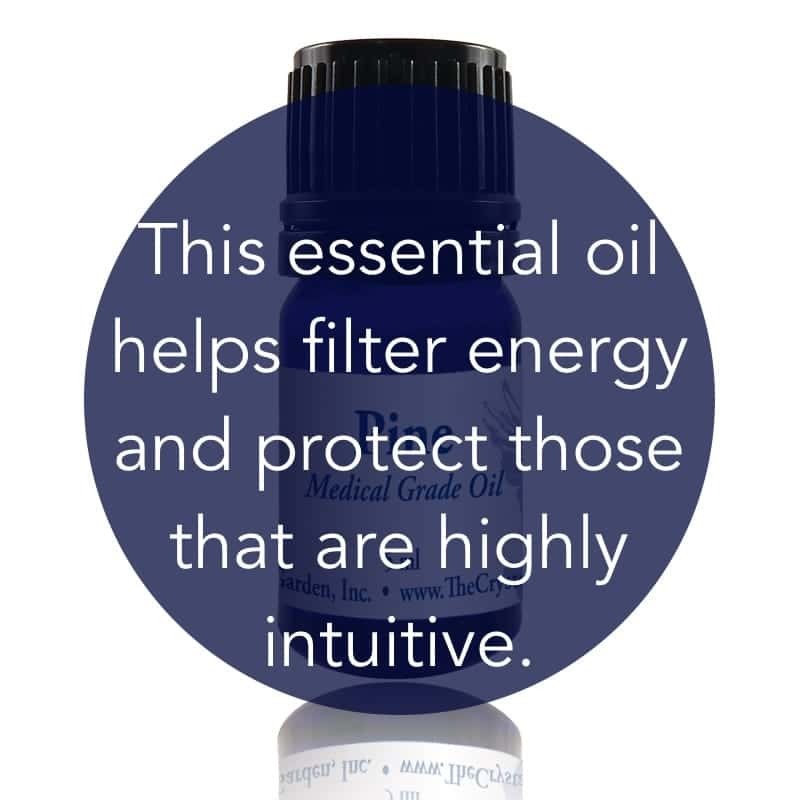 It helps to create a filter for, and barrier from, negative psychic energy and unwanted influences. Add pine to an aroma-energetic smudging mist for protection. Mental uses: Pine supports the mind during times of adverse conditions. Emotional uses: Pine is helpful during times of potential emotional breakdown. It helps you release feelings of resentment, self-pity, and bitterness. Physical uses: Pine oil helps to cleanse the kidneys and clear up congested skin conditions like psoriasis and eczema. It helps to flush the lymphatic system and remove excess fluids from the body. Pine is antiseptic and offers relief from respiratory illness such as asthma, bronchitis, coughs, colds, and sinus infections.